You take your puppy outside every hour on the hour like clockwork. Hell, you have set your clock on your cellphone to scream at you when its time! Your steadfast dedication to creating opportunities for your puppy to go outside is nothing short of remarkable. Yet the poop and pee still ends up on your living room floor. So, like every other problem in the universe, you jump online to find a solution. No, I did NOT makes these up. These are actual quotes from internet experts aka “other inexperienced pet owners”. And they might be some of the most inaccurate, devoid of factual substance, downright HORRIBLE suggestions. Whenever you experience an issue with your dog, in training or with general behavior the first thing to do is STOP. Your dog’s behavior is a direct reflection of your ability to communicate with the dog and manage that behavior. Now is the time to take a moment to reflect on what is happening. Housebreaking is a simple goal. We want the dog to never go to the bathroom inside the house, and always go outside the house. The words “never” and “always” are important as adherence to this idea will speed up the results due to less confusion, ideally. I say ideally because it is in the execution of carrying out the process where things fall apart. If the goal is to always go bathroom outside and never go inside, it will require proactive and systematic teaching on your part. Part of that teaching is absolutely creating regular and frequent opportunities for the puppy to go to the bathroom outside so it can be rewarded. Generally speaking, unwanted behaviors can be replaced with desired behavioral alternatives. If we don’t want the dog to go to the bathroom inside, simply reward them when they go outside, right? However, this is where many go down a path that will more often than not, slow down the process and at the very least create tension and conflict in your relationship with your puppy. Whenever we start talking about behavior, we MUST use the correct vocabulary. While many trainers shy away from such dialog claiming that the public isn’t smart enough or interested enough to understand, I have faith in you. I am of the belief that you love your dog enough to spend the minimal amount of time it requires to learn a few terms that will have an immeasurable impact on the relationship with your dog, and even the 2 legged animals in your life. All behavior falls in two categories, stuff we want more of and stuff we want less of. A detailed explanation and summary of behavior and how we can influence and modify it can be found HERE in an article I wrote specifically on Operant Conditioning. For the purpose of this article we are going to talk about how to address the dog/puppy going poop IN the house, which obviously is something we want less of. Behaviors we want less of we can either punish or ignore as a consequence. Smacking a dog, rubbing its nose in its feces or urine, or even yelling at the dog as a consequence are all examples of positive punishment. While that may sound confusing on the surface it’s easy to understand what the term means. Positive means we are adding something as a consequence and punishment means whatever we are adding will stop or decrease the behavior, at least in theory. Many people, even trainers, inaccurately call this type of consequence “negative reinforcement”. That is incorrect. The reason people so frequently use this term incorrectly is because of their inaccurate association between the word negative and things that are unpleasant. In any conversation on behavior the words negative and positive mean addition and subtraction, not good or bad. While a growing number of people are opposed to using punishment of any kind, that is based on inaccurate and emotional perspectives on behavior regardless of how much they use the word “science” in their rationalizations. Punishment has a role in behavior however that role is VERY small in frequency of appropriate contexts. For example, in housebreaking, do NOT use positive punishment! Now it’s time to learn why. I just gave away the answer in the title of this subsection. When using positive punishment, or “correcting” a puppy or dog for anything, the idea is that the aversive consequence will be associated with their undesirable behavior, and the dog will learn to not do that again.The HUGE problem with that is the HIGH potential for the dog to fail to make the association that YOU want it to make! Look again at the title of this subsection, the problem with punishing your puppy for pooping. Now lets break down an example. You walk in to the living room and see your puppy finishing a rather large bowel movement . In your “effort to teach” the puppy, you storm over and yell “NO” and assertively grab the puppy by the scruff of the neck and take him outside while yelling at him to express how undesirable that behavior is. What specifically do you want from the dog? What is the exact lesson you want the puppy to learn? Obviously the intended lesson is for the puppy to learn never to poop inside the house. However, how can you be certain the message was received? There is no way for the puppy to understand why it’s being punished. I don’t care what you think, or what you think you know. You have no way to control with absolute certainty the association the puppy might make from this act of punishment. Maybe the puppy thinks it’s in trouble for pooping on carpet and not tile. Maybe the puppy thinks its in trouble for going in the living room, or in for going in that specific spot in the living room. The possibilities are rather extensive, none of them being the specific one YOU want. I am not opposed to using various forms of punishment in very specific situations in dog training, but in this case, ABSOLUTELY NOT! Punishing puppies during housebreaking poses far more unwanted risks than it does improve process of housebreaking. A puppy who is punished often times thinks the act of pooping itself is why its in trouble and will then seek to poop when you aren’t around, in the house. Confusion and punishment result in a breakdown of trust, which will erode any potential reach the optimal level of trust and communication between you and the dog. If the explanation doesn’t make sense to you how about this. Dog trainers like to argue about most everything involving dog training. One of the very few things they do NOT argue about is the fact that you should NOT punish your dog for going inside the house! Seriously if all the experts agree, and can explain why not to, in detail, why would you continue to do so? When it comes to puppies, the key is prevention. If you find your puppy going poop or pee inside often what you need to ask yourself is how and why the puppy even has the opportunity to do this. A puppy should never be left unsupervised unless they are in a crate or an exercise pen. People give their puppies too much freedom which sets the puppy up to fail. Then they become good at, well, failing. Bad behaviors become habits when you are not there to guide them by creating an environment that sets them up for success. Understand that dogs come programmed with an aversion to using the bathroom where they sleep and eat. The goal is to use this to your advantage when housebreaking a puppy. This is done with confinement. Using a crate or a small exercise pen you create a very small “home” for the pup. This is the ONLY place they are left unsupervised. I like to feed my puppies in their crates, right off the floor (no dog in my care EVER eats out of a food bowl). This further discourages the pup from wanting to soil the area. The idea is to GRADUALLY extend this idea of “den” to the puppy. Slowly introduce them to new areas of the home, and always under direct supervision. Freedom is something that is earned over time, and I mean a lot of time!. Set them up for success, continually reward using the bathroom outside, and in time, they will not even have the urge to use the bathroom inside. If you do catch them starting to squat, CALMLY pick them up (because of course you are right next to them and not leaving them unsupervised) and carry them outside, put them on the ground and if so much as a drop comes out, praise and reward. The process is painfully simple as is everything dog training related. However, simple does not mean easy. 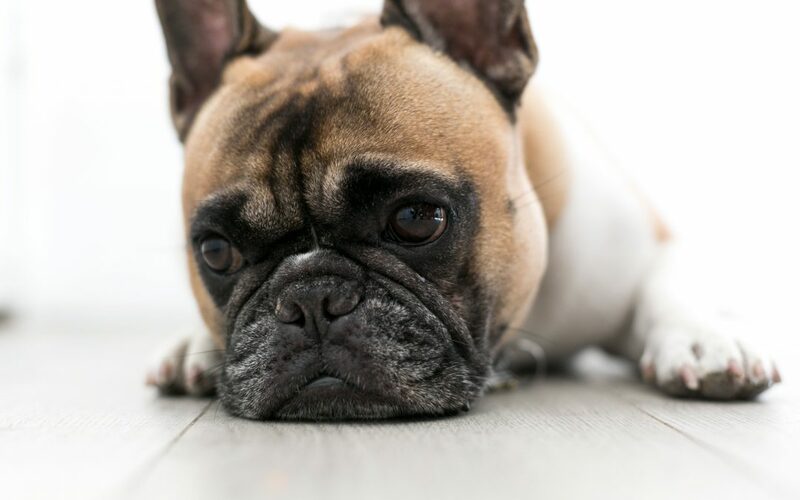 People seem to have difficulty establishing and planning routines and implementing them with the level of consistency that is required to properly care for and help a dog to thrive. If you are not a consistent and routine orirented person, then why on earth do own an animal that requires such to be fulfilled? This blog has TONS of free information. I will post a few more housebreaking links below and don’t forget, I now offer virtual consultations online in both packages and single servings. Sometimes its the coaching that makes all the difference in getting you where you need to be to be your best for your dog. Click HERE to learn more about how I can help you with that.